Our work is most rewarding when we’re able to adopt a cat or a kitten into a loving home. Rescue workers at shelters and other humane organizations like ours all over the world will agree! 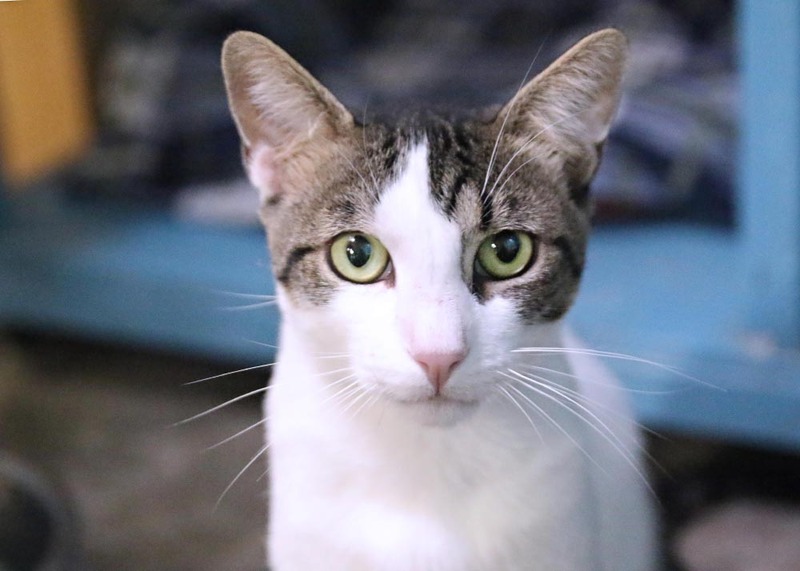 Many of the teenage and adult cats we rescue have been abandoned, neglected, abused, or dumped at the shelter and find themselves in a terrifying, lonely new world. They have withstood hunger, pain, illness and fear to overcome the odds and survive. They are supremely deserving — and appreciative — of a second chance at life. When you adopt, you save a life… and in turn enrich your own. Cats can live up to 20 years or more — and very actively at that — so even a cat who is five years old or older still has many years ahead of them. Are you ready to take on a 20-year responsibility? If so, a kitten might be great choice for you. If you aren’t, then an adult cat who might be five or 10 may be a better choice. If you want a cat with a certain kind of personality, you’re better off adopting an adult. That kitten who is cute and snuggly now may mature into a totally different kind of cat! Cats who are teens or adults have lived with our foster volunteers, so we can match you up with the kind of cat you are looking for. If you already have an adult cat and are looking for a friend for him or her, keep in mind that many older cats get annoyed and overwhelmed by a kitten’s high energy. 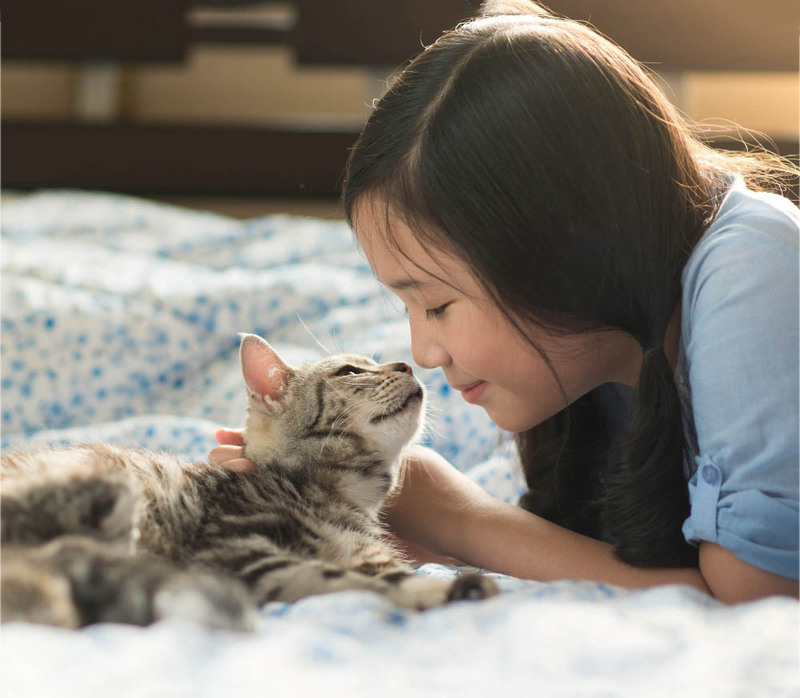 A cat around the same age — or a little older — makes for a much happier match. Tiny kittens will, in less than a year, be big adult cats. In the meantime, they’ll go through destructive, awkward teenage months. Kittens are a lot like children — they need to be watched very carefully so they stay out of trouble! Kittens can easily gets stuck behind washers or stoves. They like to chew on electrical cords and test out their claws on your nice furniture, carpets, and lovely drapes. If you do have your heart set on adopting a kitten, or currently have a kitten or teenage cat in your house, we strongly suggest a friend for them. Kittens and teenage cats do much better in pairs so they have someone to play with. Lots of adopters come to us for a kitten because they have a dog, and want to “raise” the kitten to be best friends with it. 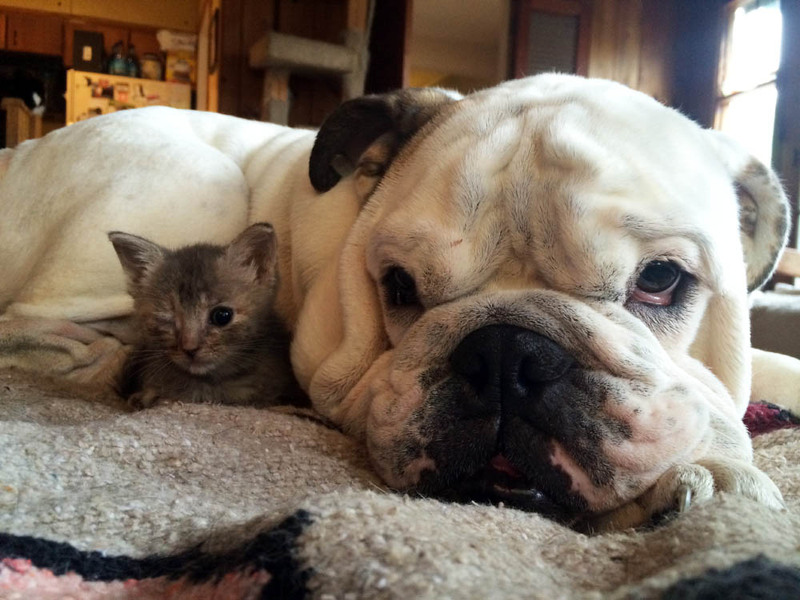 The truth is, some kittens are destined to be cats who don’t like dogs — or possibly not even like other cats. 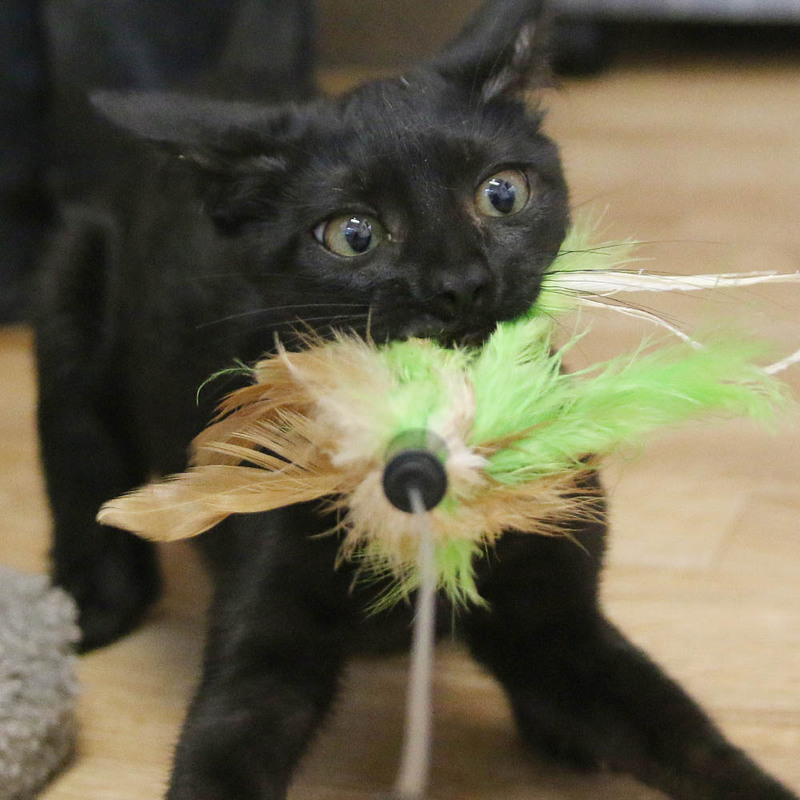 Just like people, cats are born with certain personality traits that are unavoidable regardless of a kitten’s environment during formative months. However, many of our adult cats have lived successfully with dogs in their previous or foster homes. If you currently have a dog in your household, we can pair you up with a cat who will fit right in.